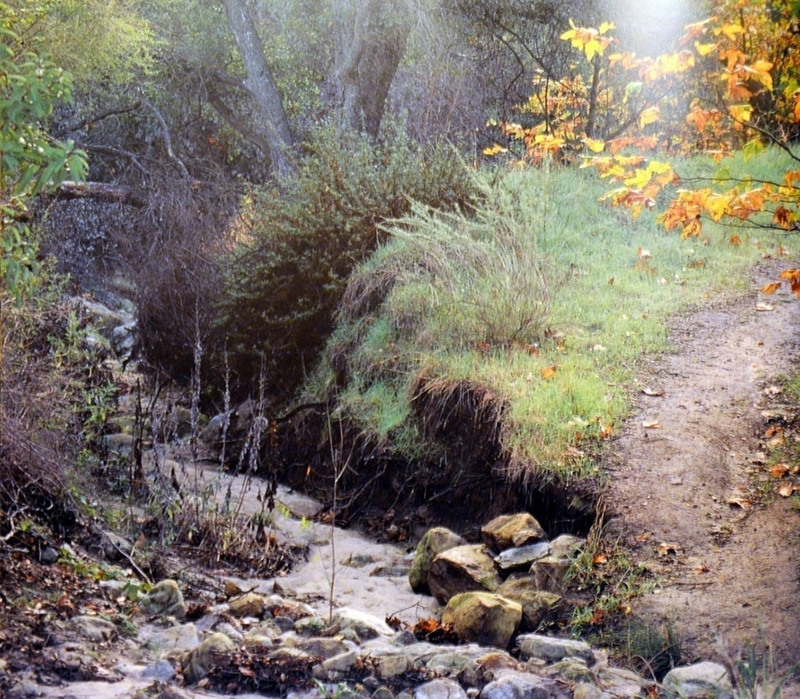 A dry Laguna Canyon Creek filled with rocks and sand runs through Laurel Canyon in Laguna Coast Wilderness Park. Who wouldn’t be? It’s no small chunk of change. But it wasn’t the money. “I was overjoyed that other people recognize the value of Laguna Canyon as much as we do in Laguna,” Borthwick said Wednesday. He immediately called his family and friends. And it’s about time, he said. Awarded to the city last week from the California Natural Resources Agency, the money will be used to restore five-acres of riparian habitat known as the DeWitt parcel. The acreage off Laguna Canyon Road extends from the south side of Anneleise School to Phillips Road on the north side of the Sun Valley neighborhood. The trickling creek there is hidden from view by invasive weeds and mounds of dirt left by Caltrans after the 73 toll road was built, said Borthwick. A berm of dirt a stone’s throw away from Laguna Canyon Creek at the DeWitt property north of the Sun Valley neighborhood on Laguna Canyon Road. Borthwick was joined in his vision by Hallie Jones, executive director of Laguna Canyon Foundation, and David Shissler, the city’s director of water quality, to prepare the grant presentation. “It was compelling and competitive,” said Shissler. “It was a real blitz at the end of the year when it was announced. We had to rush quickly to get all the information together and get all the team players put together.” Starting the project will take time, he said, due to environmental analyses and design plans. “It’s a big team effort,” he said. The creek land is part of what was once a working 194-acre DeWitt family ranch with horses, pigs, ducks and chickens that’s now overrun with invasive weeds, dirt piles, trash and neglect. The city purchased the ranch for $2 million with a grant from the state Habitat Conservation Fund in 1991, according to Mary Fegraus, past director of Laguna Canyon Foundation, and city open-space acquisitions records. A plan to restore the creek, an eight-mile waterway along Laguna Canyon Road sourcing from Laguna Lakes, was first presented to the city 12 years ago. But the shovel was dropped when funding fell through. Until Borthwick came up with a master plan. A Master Plan for Canyon and Creek Improvements for about 20 isolated parcels from the 405 freeway to Main Beach was unanimously endorsed by the City Council last year. The plan, created by Borthwick and fellow Laguna Greenbelt board member Lance Vallery, highlights easy and relatively inexpensive ways to beautify the creek without getting into channelized sections or major, time-consuming undertakings. “The thing Bob Borthwick created is a lot of little projects that are all complementary to one another and also complementary to the grand scheme we started back in ’04,” Shissler said. “It’s nice to have a guide to take us one piece at a time.” The DeWitt site is the biggest parcel in the plan. The grant reflects the community’s shift in thinking about the creek from storm drain to natural resource, said LCF director Jones. The historic pink ranch house sitting on the hill above the creek will be restored and used as the new headquarters for Laguna Canyon Foundation in a separate project, said Jones. Offices are now housed in the American Legion Hall on Legion Street. Plans also call for later improving Phillips Road on the south side of the property as a trail connecting to Aliso-Wood Canyons via Stair Step Trail, a steep path with deep rocky ledges considered an extreme ride by local as well as international mountain bikers, Jones said. “In order to make our proposal sweeter to the state,” said Borthwick, the grant was augmented by $125,000 from the city and $5,000 from Ron and Frances Chilcote’s family Foundation for Sustainability and Innovation. 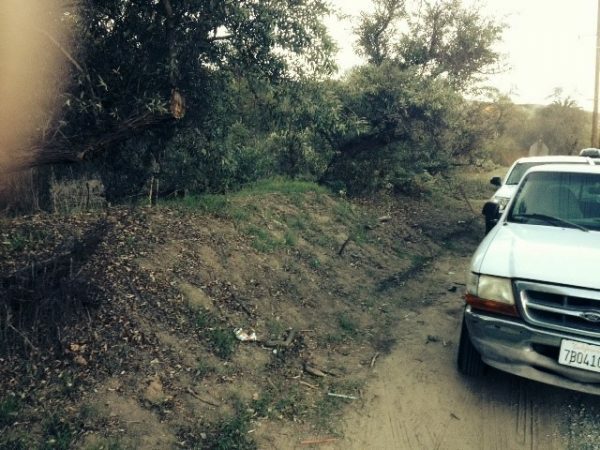 John Albritton, president of the Laguna Canyon Property Owners’ Association, thinks a city trolley stop there would alleviate potential parking problems, reduce traffic on Laguna Road and eliminate crossing hazards from Laguna Coast Wilderness Park across Laguna Canyon Road. Who will be in charge of distributing these needed funds for this wonderful public project? sick judgments(ex: Police chief lying laura, Downtown plan and village entry) are above everybody else’s opinions, our City Council that represents HERR johnny’s unethical character, the citizens of Laguna Beach, or a combination of the parties mentioned? HERR johnny is a MENACE to Laguna Beach, who depends on loyal BIGOTS such as himself to keep himself in power, and trying to intimidate those who protest his unethical and illegal actions with our Unethical and BIGOTED Peon Department for his very thin skinned personal Vendettas!